So glad you enjoyed this book. I honestly didn't think the Bloodlines series would be too good, but now I'm having high hopes for it! Great review! 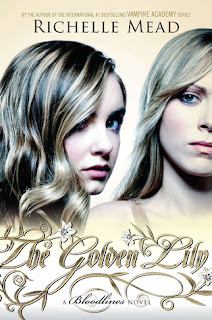 I can't wait to get a copy of The Golden Lily! I like the CHEESY comment. You are NOT judging by the cover I hope??? My daughter will be after you.